In latest updation of Tally make some change in Statutory Compliance. 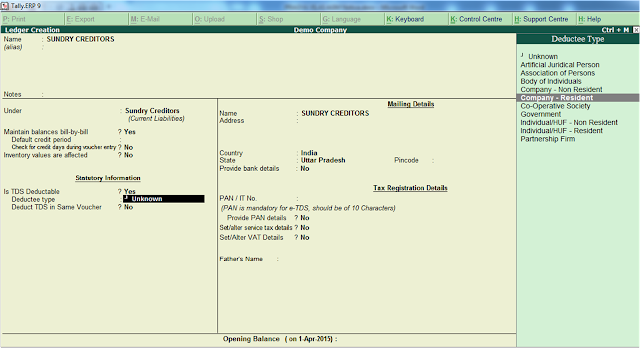 Now users face problem to configuration of Statutory compliance in Tally. 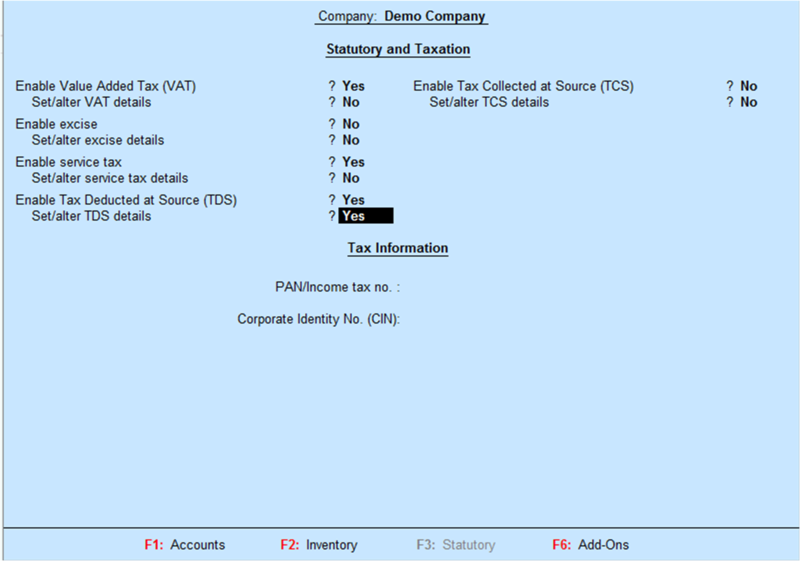 In this tutorial, we learn about how to configure TDS in Tally.ERP9 Release 5.1 and above. Set / alter details of person responsible yes to enter responsible person data i.e. name, father name, pan no,. 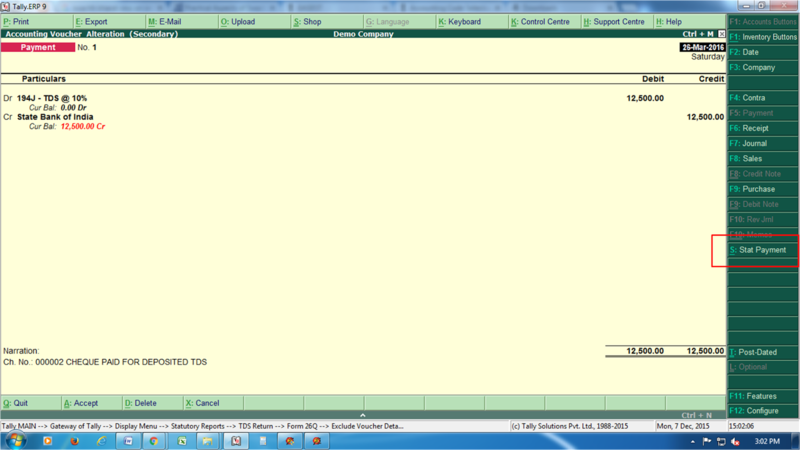 address etc. 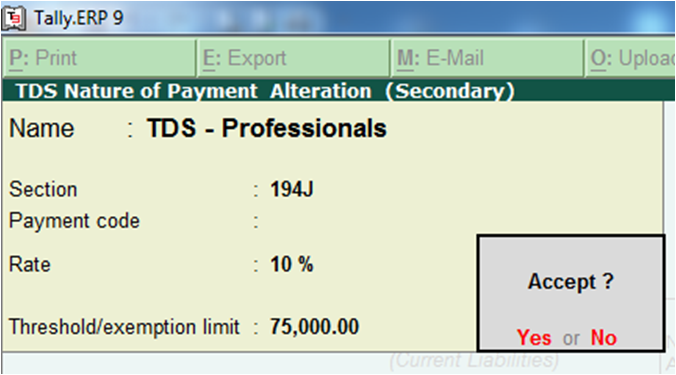 Create TDS Ledger (I have create TDS @ 10% for professionals) Select Type of Duty/Tax: TDS, create a new category (Alt+C). Save TDS Ledger Creation. 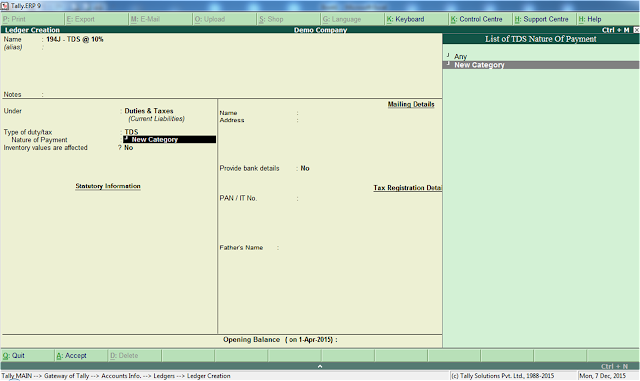 Now Create Expenses ledgers. 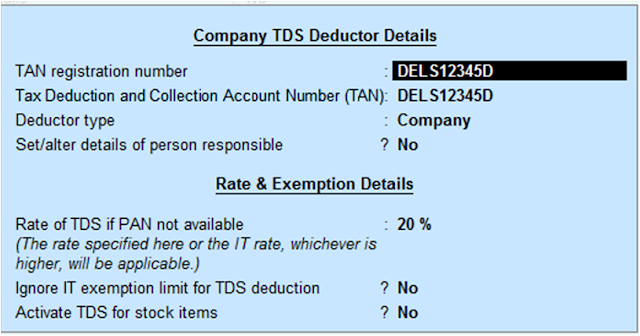 TDS applicable select yes, and select category created in TDS duty ledger creation. 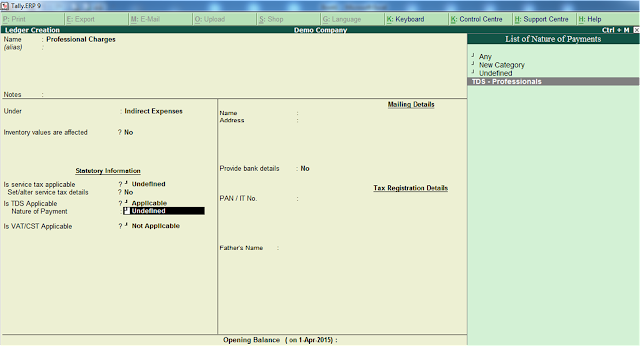 Create a voucher entry. 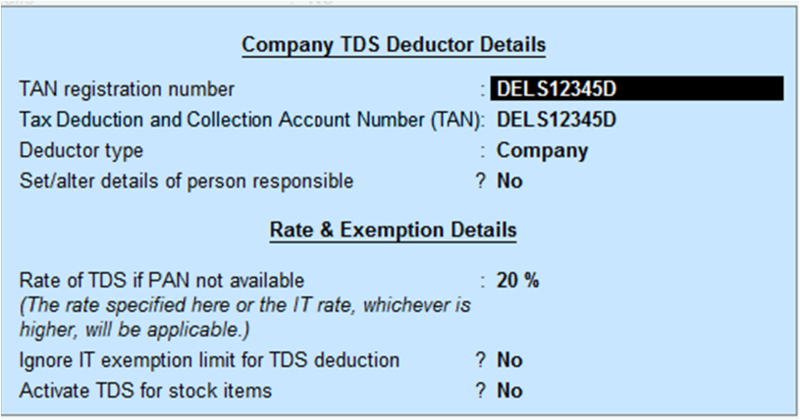 In creditors field TDS will automatically deducted in the voucher. (See below Image). 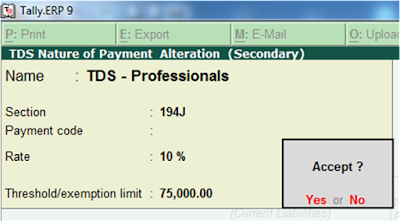 Now create a payment voucher for show payment of TDS through cash/ bank/ online. 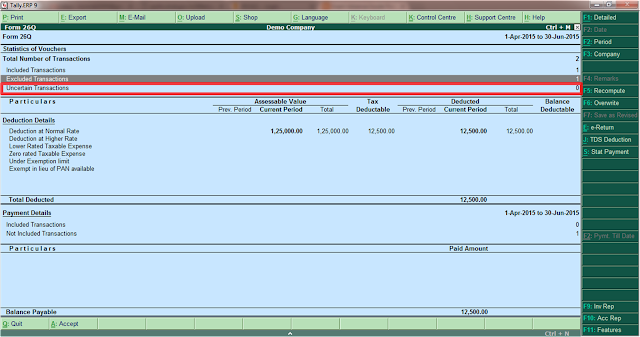 On right side bar select Stat Payment and enter the details. Be assure that none entry show in Uncertain Transaction. 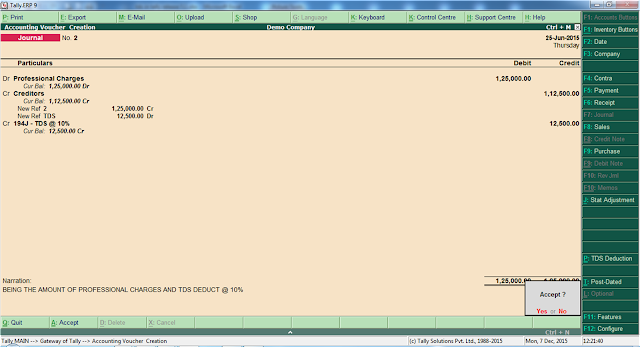 Now Press F6 or save option from right hand green Bar. Form 26Q is generate in Tally.ERP9 installation Folder.